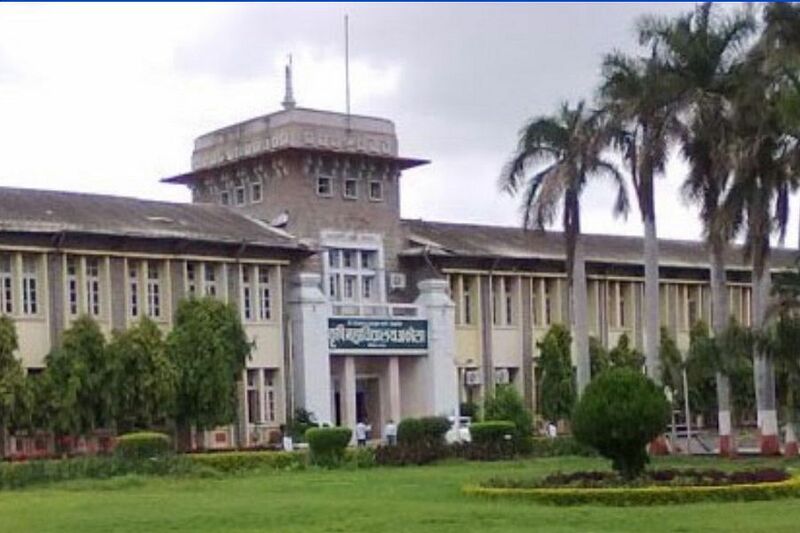 Nagpur University now known as Rashtrasant Tukadoji Maharaj Nagpur University (RTMNU) is one of the oldest universities of India and the second oldest university in Maharashtra after the University of Mumbai. It was established on 4 August, 1923. The University holds affiliations and memberships from UGC, ACU, NAAC and AIU. The college is distributed in seven campuses with a sprawling area of 327 acres. 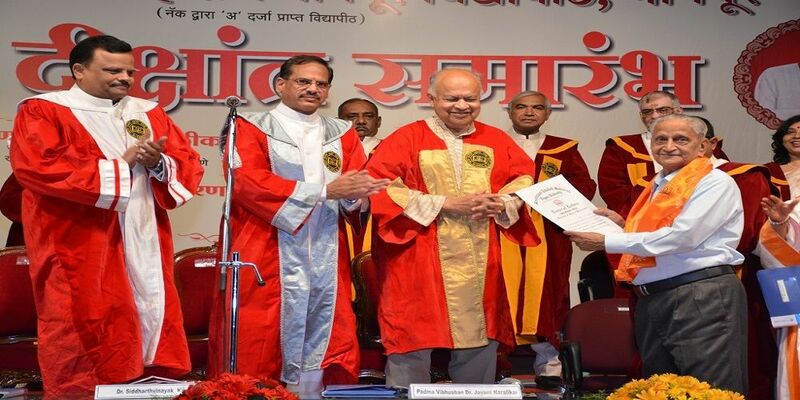 The University is enshrined with the motto “Vidya Daiv Param Tam”. The University provides affiliation to 842 colleges in Nagpur, Wardha, Bhandara, and Gondia districts of Maharashtra. 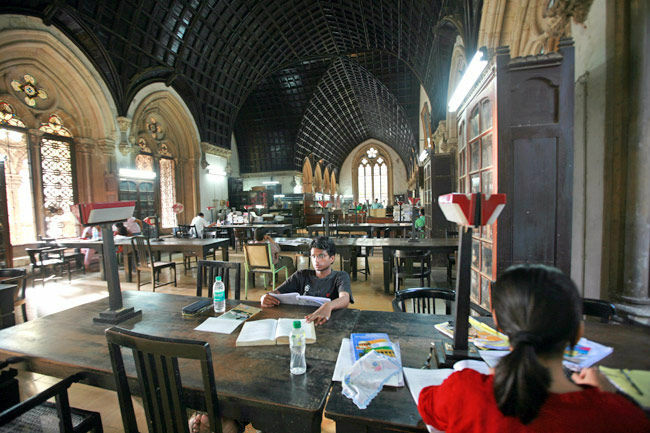 The Baba Saheb Kolbe Main Library has two floors with a total floor area of 57,480 square feet and has over 350000 volumes, and can accommodate 250 readers at a time. The University provides separate hostel facilities for boys and girls those too different hostels for UG, PG, Pharmacy, Doctorate students. The University has excellent sports facilities with almost all the popular sports in the region. The new campus is located near Futala Lake, which is huge and houses various departments. There are different processes for taking part in the admission processes. For every course, the eligibility process has to be scrutinized before filling the form. STEP-1: The candidates need to register themselves on the online website by clicking on the register now button. After the registration, a user id and password is generated for future login. STEP-2: After filling all the personal details and the educational qualifications, the candidates need to upload the scanned photographs of the documents specified along with the valid mark sheet and identity proof. The size of the photograph should be 35*45 mm with a resolution of 72 to 150DPI. Documents to be submitted along are- Marks sheet of class 10th & 12th, 12th standard certificate (for age confirmation), Marks sheet and certificate of qualifying exam (as applicable according to courses). STEP-3: The last step is to make the payment as per the details mentioned in the instructions and take out the printout of the application form and submit it in the required university or college. The hostel facility at Nagpur University is available for both boys and girls. There are fixed number of seats reserved for the students of first year and second year students. The girl’s hostel also has a limited number of seats. Once enrolled in the Nagpur University, the students are instructed to collect the application form at the earliest. The application form can be collected from the office of the Warden, and after successfully filling it up should be forwarded by the Director. The completed application form should be submitted at the Warden’s Office. Apart from the application form the students need to submit all the necessary documents. For more information, the interested candidate can check the official website of Nagpur University. Various sports like Cricket, Chess, Carrom, Football and more. There are also many functions which are celebrated in the hostel like Fresher’s welcome, Farewell, Hostel day and many more. The college usually comes under Tier-2 colleges and the students are aware of it, but still there's a lot of competition since the education provided here is of world class. I chose this college after a lot of research and was happy with the results. The students are encouraged to do better in the society with a lot of hard work and dedication. I had a lot of amazing times in the college. For admission into the college the student should have good score in cat/mat/xat/smat etc exams. I score 90 percentile in mat and then was called for GD and interview. The candidate who clears all these rounds will be admitted into the college. Also the basic eligibility criteria is that the students should have 50 in class 12th. The placement of the college is good. They even prepare students for the placement season with m,ock interview and other skills. The students needs to apply to the company their interested in and then he will be called for an interview if he/she fullfils the required criteria for that company. I do not have much info as I did not live in the hostel. I took a PG nearby the college. The rent of the PG’S depend on the type of locality you live in. Though the canteen food is one of the best things about the campus. Each one of the students loves it. The alumni network of the college is pretty strong. There is alumni meet where we get to meet them. 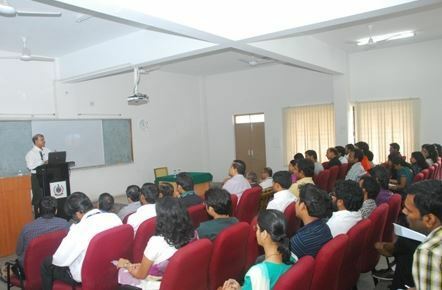 Other than that they also drop by frequently for guest lectures and for seminars. Its a great exposure as we learn about the corporate life, its trends and whats new. The faculty of the college is very learned they place their complete focus on us. They often share and provide us lot of examples which helped us a lot understand a lot about the subject and its applicability. They make subjects interesting and entertaining for all the students. They made sure that all our doubts are cleared on regular basis. The college has updated infra and is spread in a huge area. There are some events happening now an dthen and studenst can participate in them. There is huge ground where students can play different sports and chill with friends. Other facilities include various sports facilities, gym, wifi etc. Internships are important as they give you an insight in the corporate world as students get to know their strengths and weakness before they land a job. This helps not just academically but helps in the overall development of the candidates. Students get a chance to intern and should do it rightfully as they have to submit a report based on that and credits are provided for the same. The college does provide scholarship based on your class 12th and entrance test score. The students need to be very bright to crack it as the evaluation process is hard and the number of applicants is also very large. The amount of scholarship is also good therefore its worth a try. I do not know about loans. My experience in the college was one of the best I have every had. It was a memorable journey. For admsison into the the b.tech program, I got through JEE marks. Admission is based on the marks scored in this exam. Also, if you scoare well well you are provided a scholarship. The college charges a total fee of around 3,8 lakhs for 4 years. The best part is the fee can be paid online itself. It is comparatively low comparing the standard of the college. You also have to pay some miscellaneous fee of about 5k every year. The placement stats vary department/stream wise. If you are CS/IT student, there are a lot of placement. For mechanics the placement are good and limited. The college is pretty backward when it comes to placement as no former training is provided. Students have to do all on their own. The university promises a lot of facilities for the hostellers like clean room, hygienic food and even washing machine. But when you actually live their you find none of them true. The food it is ok and not that great. The seniors are very helpful once you get to know them. They help us in our assignment and also act as career guide. Seniors to be very Frank were not much help at the beginning but as soon as uh get to know each other, the bonding became stronger and they became helpful after that. The faculty is great. Teaching done through modern methods. Though the faculty is a bit biased towards bright students. The labs are very well and replacement/co-teacher is case the professor on leave. The campus life is pretty descent. There are sports facilities for those interested in extracurricular activities. Sports like cricket, football and basketball are often played. A number of events are organized by the college. The events like conferences and seminars happen regularly. The university organized the fest on a grand level. 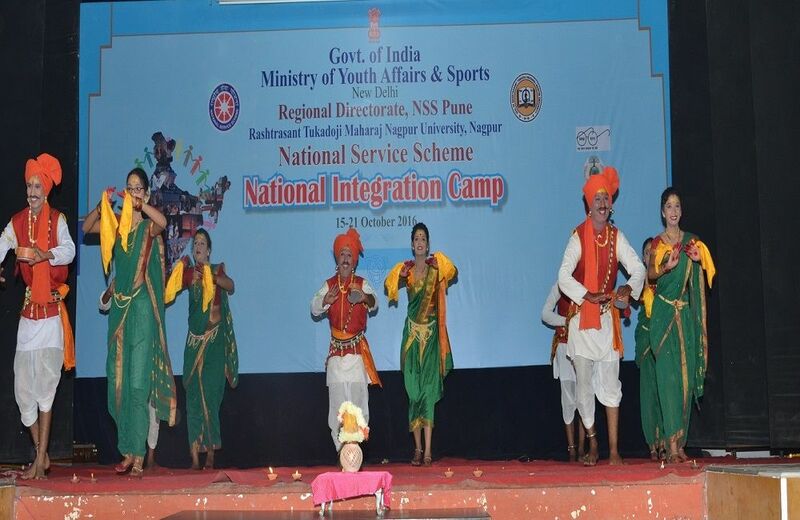 The students also get to participate in these events and showcase their talent. Mechanical , it deals with the engine, power plants , and refrigeration. I have interest in cars . So I opted mechanical. And it is a part of every machinery. Every person experience mechanical instrument in his daily life. Mechanical student can go any of his job based on his talent. He can do any job including IT professional. The college favours the meritorious students and they can get internship. But for the rest, the college does not provide any internship. Some these internships pay stipend which is not very much. Most of the students have to find internships on their own. The university provides pretty good scholarships. 3 types of scholarships are provided. i.e based on 12th score, JEE score and sports quota. Top ranking in JEE will give you 100% scholarship, Candidate who score above 95 in class 12th get 50% scholarship and sports quota students don’t need to pay anything. The university is overall good with well maintained labs, descent infrastructure and well qualified faculty members. The college is located in Nagpur which is also one of the major educational hubs in India. But I think the college should work on bringing in more top companies in the placement season. For admission into the university students have top go through the cmat entrance test. Candidates are selected based on the score of the exam. Though the college also provides management seats. I got admission through management quota. But I had to go through a simple interview before the final admission. As compared to other colleges in the city, considering the status the fee is pretty descent. Exclusive of additional fee the tuition fee is around Rs 5.7 lakhs for the complete b.tech course of mine. Candidates have to some additional fee of around Rs 5-10k every year. The placement of the college is pretty descent of what I have heard from my seniors. But the placement of the college can be improved with bringing in more top companies. Being a day scholar I don’t have much idea about the hostel life. But as per my hostel friends, the rooms are clean and spacious. The food in the hostel is tasty and students don’t have to go out often to cherish good food. Rooms are ai-conditioned and are allotted on sharing basis. The university has a mix of variety of faculty based on educational background and teaching experience. Teachers are very supportive. There are some teachers are from IIT;s as well. Only few of the teachers have 3 years or less years of experience and most of the teachers have 10 years or above teaching experience. The college organizes a number of events throughout the year. There are various competitions such as debate, dancing, music and skits and more. Students are very much active in these events. The college follows the semester based exam pattern. Each year has 2 semesters with mid sem and end sem exams along with practical exams and external exam. The external happens at the end of the first year. The syllabus of the college is updated regularly which is the best of part of the college. The college provides internship opportunities to its students. The internships may be with stipend or without. The college also gives the option to choose your internships with a condition to show proper documentation along with certificate and letter of recommendation. I interned for a startup as I believe they provide great learning and exposure. The college has recently started proving scholarships based on the JEE rank. Though the it will only be provided for the first year, post that students have to pay whole fee. Regarding loan the college does not provide any loans but students can reach out to private/govt banks for loan. Getting an education loan is pretty easy these day I have heard. I did not take any loan.